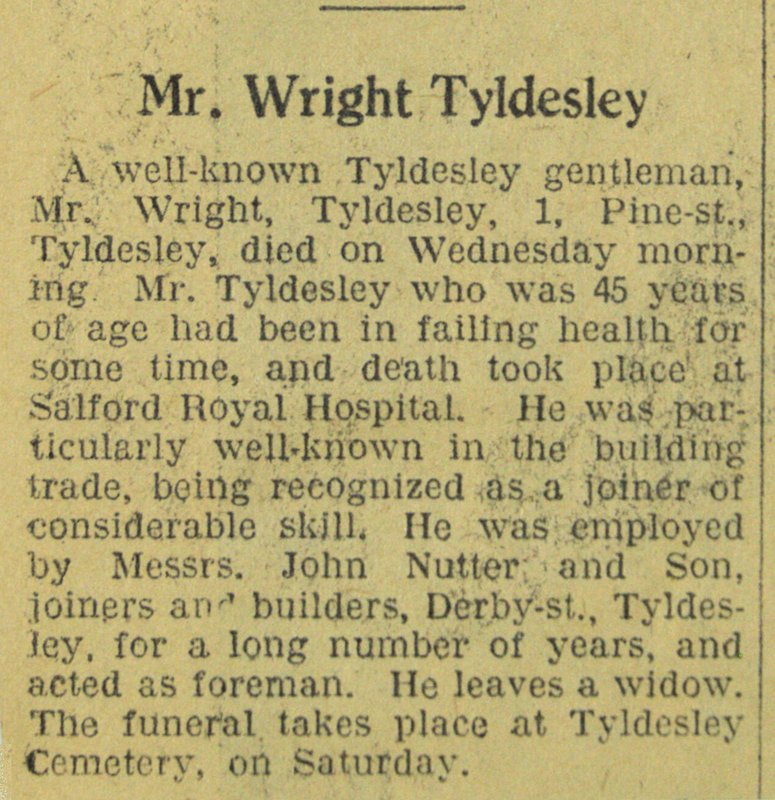 A well-known Tyldesley gentleman, Mr. Wright Tyldesley, 1, Pine-st., Tyldesley, died on Wednesday morning. Mr. Tyldesley who was 45 years of age had been in failing health for some time, and death took place at Salford Royal Hospital. He was particularly well-known in the building trade, being recognized as a joiner of considerable skill. He was employed by Messrs. John Nutter and Son, joiners and builders, Derby-st., Tyldesley, for a long number of years, and acted as foreman. He leaves a widow. The funeral takes place at Tyldesley Cemetery, on Saturday. 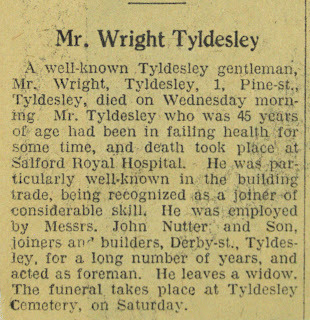 Wright Tyldesley was born on 2 July 1886 and died on 16 March 1932. He married Alice Woods in 1909. His father was Ralph Tyldesley 1840-1913.